Promotional materials celebrate the Code Talkers role in winning WWII. A branded exhibit celebrates words winning wars. 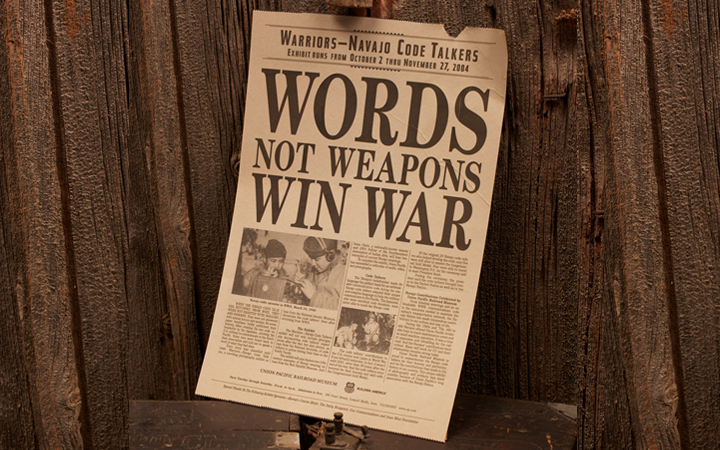 Event promotion for a Navajo Code Talker exhibit showcasing their contributions to the WWII win in the South Pacific. 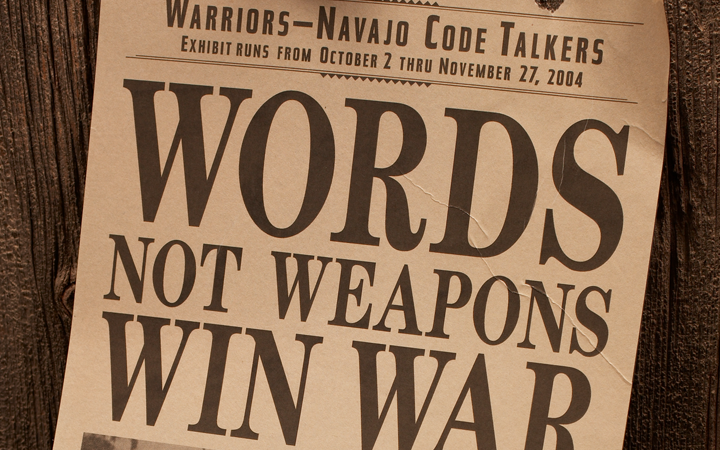 This exhibit at the Union Pacific Railroad Museum celebrated the Code Talkers and how they helped the United States succeed in the South Pacific during WWII by using their language as a code. Unfortunately their story was classified until 1972 and so they were unceremoniously bused back to their reservations after their job was completed. We were given the task of creating the materials to drive attendance. To get the word out, we chose to recreate the time period as if they had been recognized for their bravery. 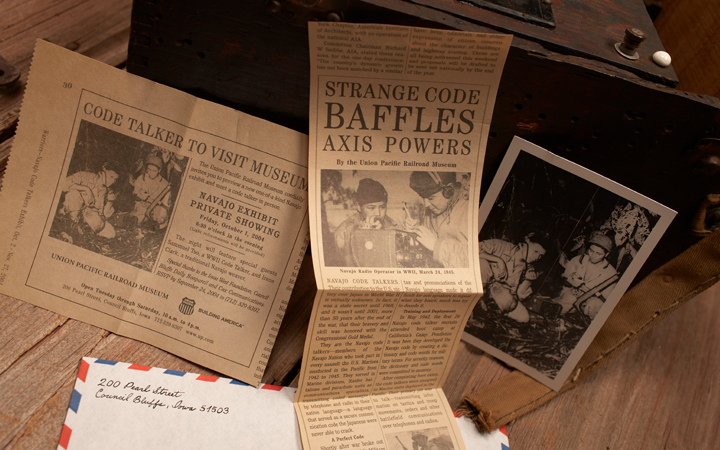 The invitation to the opening night’s events, the poster, TV, and other materials were all treated as news media from the mid-forties celebrating the Code Talkers’ achievements to help win WWII.